A sign of things to come. This is just the beginning…. A 37 year old Amsterdam resident was sentenced yesterday to sixty hours of community service. 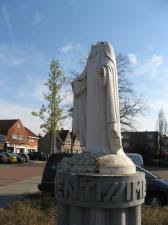 In April of this year the man destroyed at least two statues of Christ in Nuenen and Deurne. The magistrate in Den Bosch also charged him with destroying five graves in the Lambertus parish in Helmond. The suspect came to the Netherlands from Turkey 11 years ago and worked in Amsterdam at a research institute. He was arrested in Venray on April 8 when he again went for a statue of Christ. He failed to appear yesterday. * Wonder what he was researching? The Palestinian rocket that hit the Israeli town of Beersheba detonated without causing injuries â€“ but the shock waves are still reverberating through the Jewish state. * Where the hell did these maggots come from? How did they get to settle behind enemy lines? “Death to all (Zionist) juice”: Calling for genocide with plausible deniability? The French language blog Philosemeitsm also writes aboutÂ attacks against Jews in Brussels and Antwerp. UPDATE: The jihad loving AP neglects to mention any Jewish/Israel/Palestinian reference in their news article,Â Gunmen wounds 2 in mall shooting in DenmarkÂ – that is how aligned with the enemy they are. The Israelis were sellingÂ Dead Sea cosmeticsÂ at a stand in the mall – a job many young Israelis pursue, usually following military service, in order to saveÂ moneyÂ for their future and to continue their travels. Two Israelis were lightly wounded when they were shot by a group of men in a mall in Copenhagen, Denmark on Wednesday afternoon. 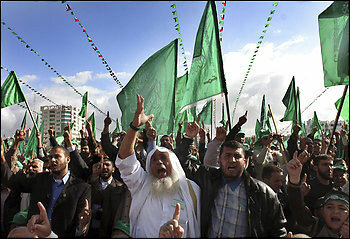 DEAD Jews aren’t news, but killing terrorists outrages global activists. 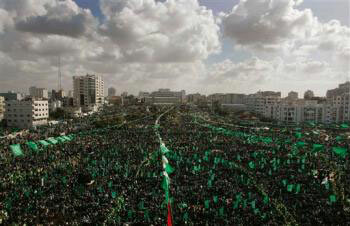 On Saturday, Israel struck back powerfully against its tormentors. Now Israel’s the villain. Again. Israel’s airstrikes against confirmedÂ HamasÂ terrorist targets in the Gaza Strip were overdue, discriminating and skillful. So far, this retaliatory campaign has been a superb example of how to employ postmodern airpower. Propaganda: Activists around the world, like this woman in Spain, protested Israel’s airstrikes. What?Â MunitionsÂ andÂ rocketsÂ stockpiled in a place of worship? But, but… Â isn’t that what all the churches and Â synagogues are doing? I’m sure we are wrongly blaming innocent Muslims just for trying to defend themselves from constant islamophobic attacks. Right? The IAF continued its assault on Gaza terrorist targets on Wednesday afternoon, bombing a Gaza City mosque and destroying a large number of rockets hidden inside. Channel 10 reported that the IAF had received high-level orders to hit the mosque after Hamas terror operatives had run there with several rockets and Grad-type missiles. The army said that the mosque, located in the western part of Gaza City, was used to store weapons and explosives and that terrorists had been using the building as cover when firing rockets at southern Israel. 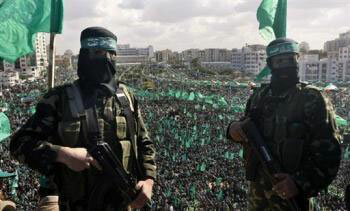 Israel: Trying to buy peace by releasing Islamic terrorists? Here's Proof for Global Worming! See: the ice is melting! we’re all doomed! Keep him away! Tell him to stay home with his egregious wife and read the Koran! Tony Blair will visit the Middle East next week as the international community steps up its efforts to broker a ceasefire between Israel and Hamas.